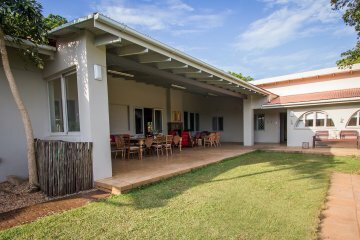 Ngoye Lodge is situated in the scenic coastal village of Mtunzini and offers guests true Zululand Hospitality at its best. 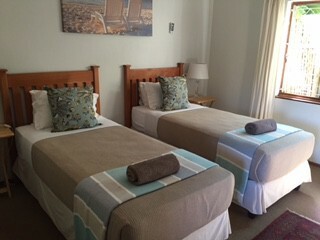 We look forward to having you stay with us. 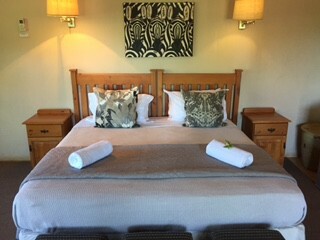 The lodge has has five lovely spacious bedrooms, five bathrooms all except one is en-suite , a fully fitted kitchen, a spacious well furnished open plan living area, agames room, a lovely verandah for entertaining outdoors which leads off onto the sparkling blue pool. 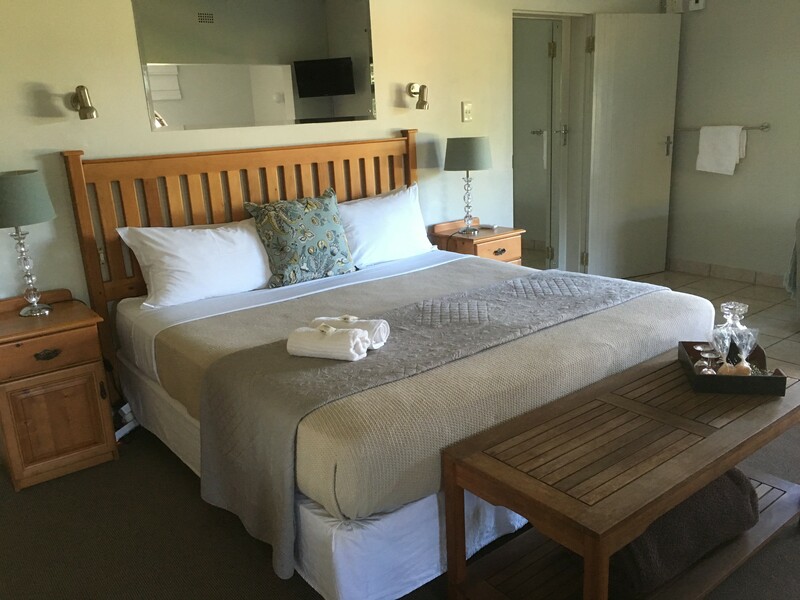 It really is the perfect venue for large family/friend group getaways. 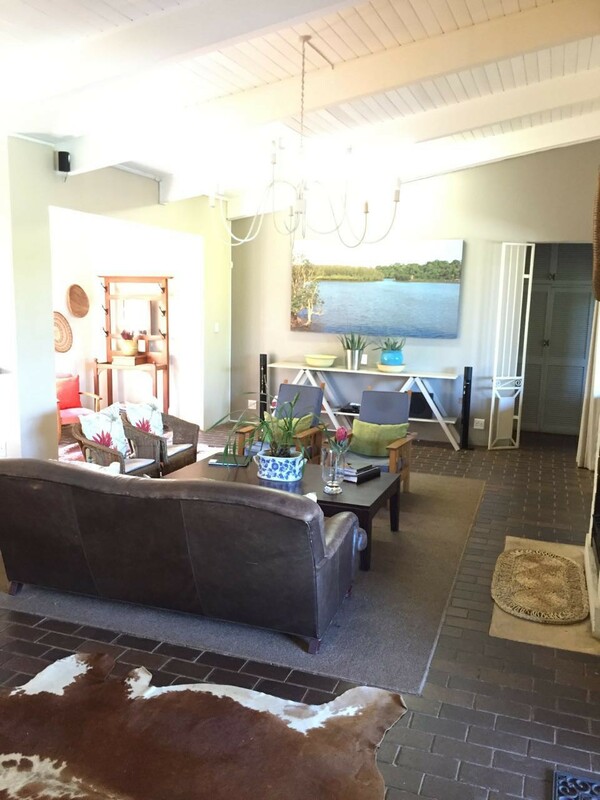 The lodge is fully airconditioned and serviced daily by our friendly professional staff. 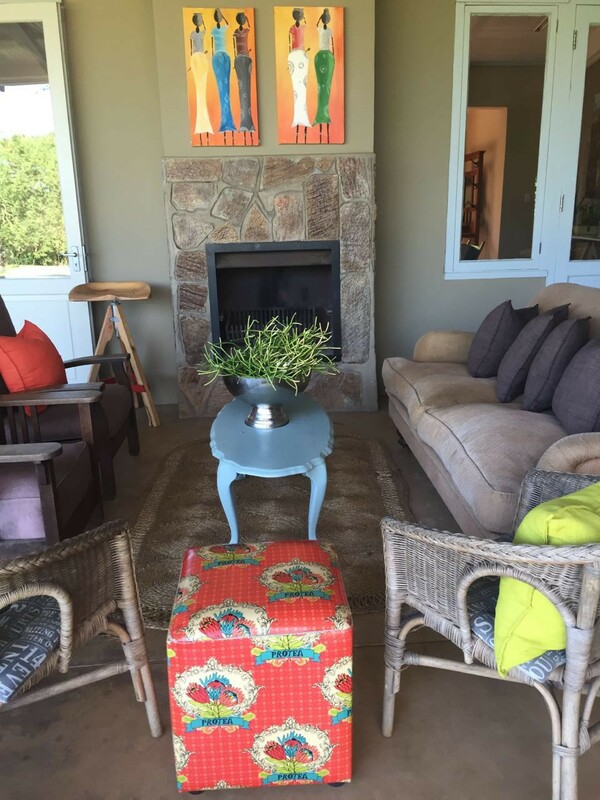 For smaller families or a couple wanting a romantic getaway, we have Nguni Cottage which has 2 ensuite bedrooms, a spacious and comfortable living area, a fully fitted kitchen and covered patio. 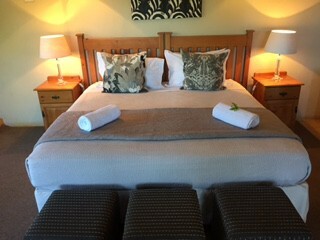 The cottage has its own private garden and car port and is the perfect place to relax and enjoy the nature rich surroundings of our village. 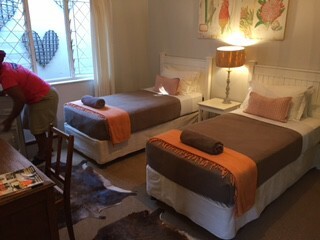 The cottage is also fully air conditioned and serviced daily. 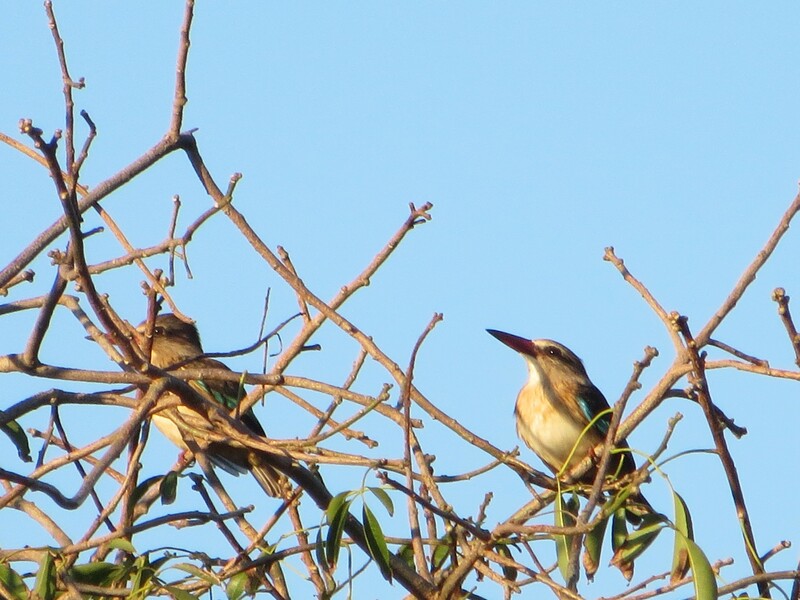 Our lush green gardens are abundant with birdlife and the local Umlalazi Nature /Reserve and beach is a short five minute drive away. 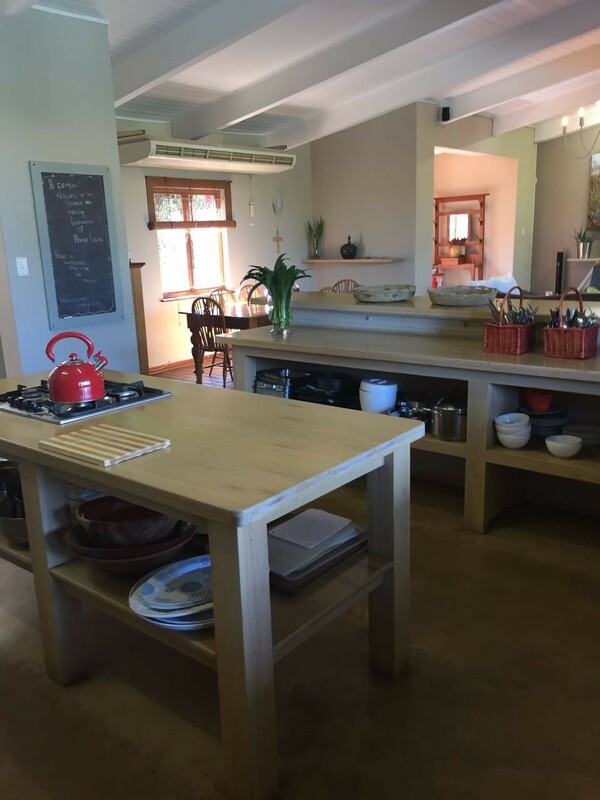 The reserve has a number of hiking trails which are a treat for the more energetic visitors, braai/picnic spots along the lagoon and guided bird walks can be arranged beforehand. 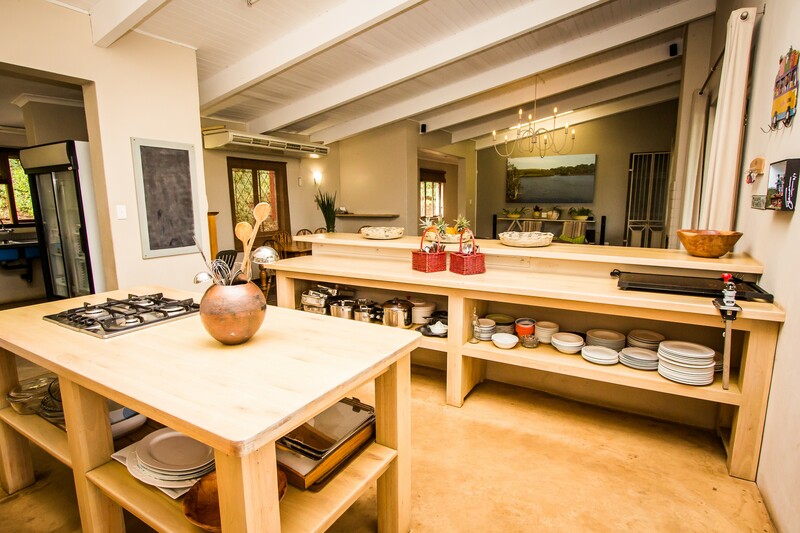 Barge trips along the lagoon are also a treat and bookings can be arranged. 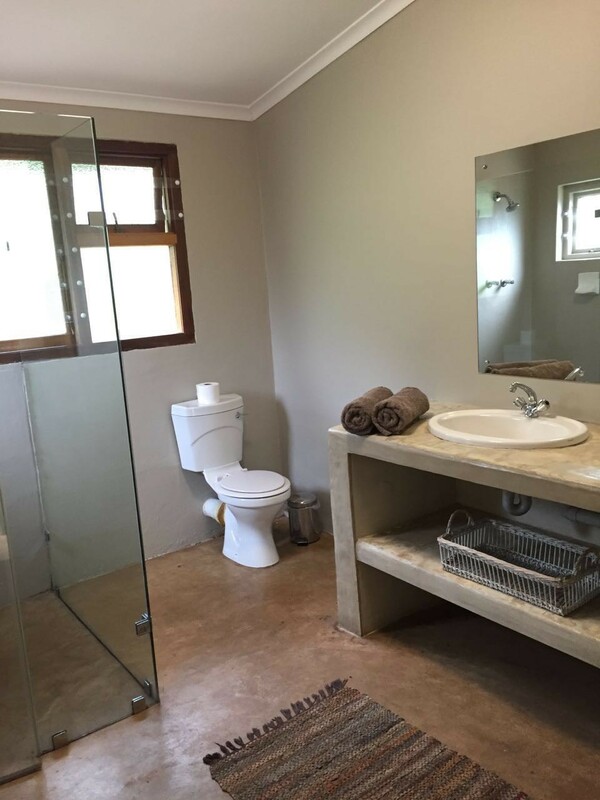 Mtunzini has a lovely 9hole golf course and is the perfect spot for those who enjoy fishing, paddlling, surfing, hiking and enjoying the warm South African climate. 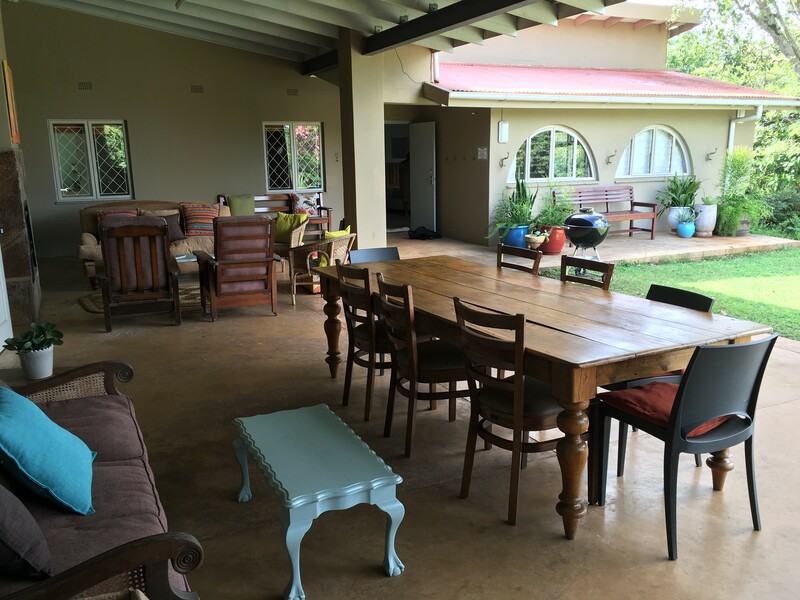 The Fat Cat restaurant, a firm favourite with the locals, is within walking distance from the lodge and Twigs Coffee/Decor Shop is just below the lodge. The local beauty salon is also within walking distance and worth visiting as they offer a wide range of beauty treatments, perfect for the ladies needing to treat themselves whilst relaxing on holiday. 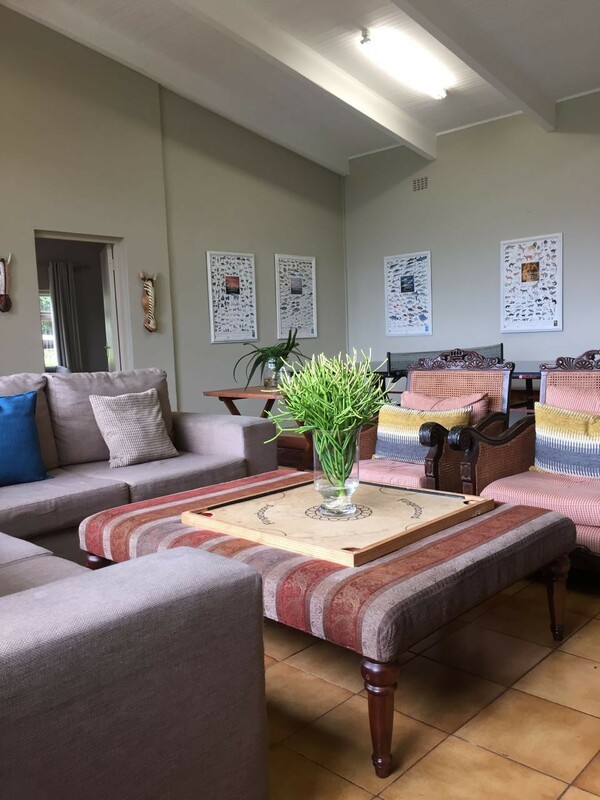 Raphia Shopping Centre is directly opposite the lodge - so we are in the perfect spot to make sure all our visitors needs are catered for.